The Pyrenees (also spelled Pyrenées) (Spanish: Pirineos; French: Pyrénées; Catalan: Pirineus; Occitan: Pirenèus; Aragonese: Perinés; Basque: Pirinioak) are a range of mountains in southwest Europe that form a natural border between France and Spain. They separate the Iberian Peninsula from the rest of continental Europe, and extend for about 430 km (267 mi) from the Bay of Biscay (Cap Higuer) to the Mediterranean Sea (Cap de Creus). La Seu d'Urgell - one of the most historically important towns in the Catalan Pyrenees. The city was named after the imposing cathedral (La Seu), a lovely Romanesque building of the 11th and 12th centuries at the of Major street. Also outstanding are the churches of Sant Miquel and La Sagrada Familia, the 15th century Casa de la Ciudad and the Diocesian Museum. Vielha - a resort town serving the major ski resort of Baqueira Beret. 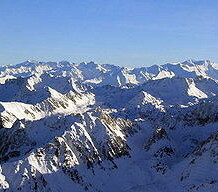 Baqueira-Beret is the most outstanding of the eleven ski resorts to be found in the Catalonia Pyrenees. Many skiing fans from Spain and abroad believe that Baqueira has some of the best pistes in Europe. 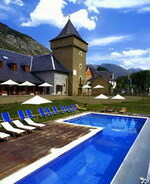 In Vielha, the capital of the Arán valley, there is an Ice Palace with ice-skating rink and heated swimming pool - the town is the centre for leisure and entertainment in the area close to the ski resort. 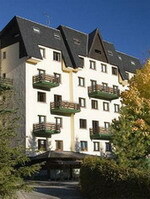 A warm and comfortable family hotel that is situated in a privileged position in upper Vielha with marvellous views of the valley. 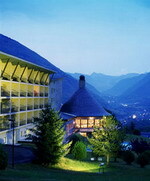 The Hotel Pirene can be found in Vielha, the capital of the Val d'Aran. It is a beautiful area with its own distinct and exquisite character, bordered by both France and Spain. The Val d'Aran was isolated throughout the long, hard winters until the construction of the Vielha tunnel only 50 years ago. This in some ways has conserved the customs and traditions unique to the valley and its language - Aranese. We offer our clients a professional and family orientated service. 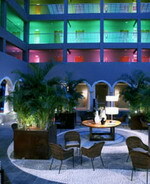 Single, double, triple and family rooms are available. All are comfortable and cosy with marvellous views of the valley.